Time is running out! Less than 17 hours left until the end of the Pre-Order period for Encryptopedia. Why is this important? Because at the stroke of midnight that Pre-Order will no longer be available. What’s the pre-order deal? You get Encryptopedia + the first adventure written for Encryptopedia, “Live and Let Dye.” “Live and Let Dye” is a stand-alone systemless adventure designed to build upon and execute ideas brought up in the Encryptopedia sourcebook. It has adventure, conflicts, intrigue, romance, and mysterious artifacts. Will you try and save the family of an agent wanting to come in out of … Continue reading The Last Hours of the Pre-Order are Slipping Away! When I first started roleplaying (when I was 8 – nearly 40 years ago), I had no clue what I was doing. I tried to learn D&D from the blue-covered box set with the dice and the crayons – but let’s face it, it wasn’t written for 8-year-old audiences. I didn’t actually get D&D until I played AD&D with some friends, and started running games the second game I played. I had no idea how the rules worked, but the story was what I loved. Now we have a couple of generations of people who have spent years and years playing … Continue reading Why do I need a systemless sourcebook anyway? Only a few people have pre-ordered Encryptopedia. I prefer to think of these folks as “the Ring of Elites” – y’all are great and I am very appreciative of your patronage. Every time my inbox lights up with a sale it’s like a combination Yule and Birthday present all in one. Not only will they get Encryptopedia first before everybody else, they will also get an adventure to get their fantasy spy games started. One of the things I’m loving about crafting this adventure is that I am able to open up story settings that you normally don’t see in … Continue reading The Ring of Elites! 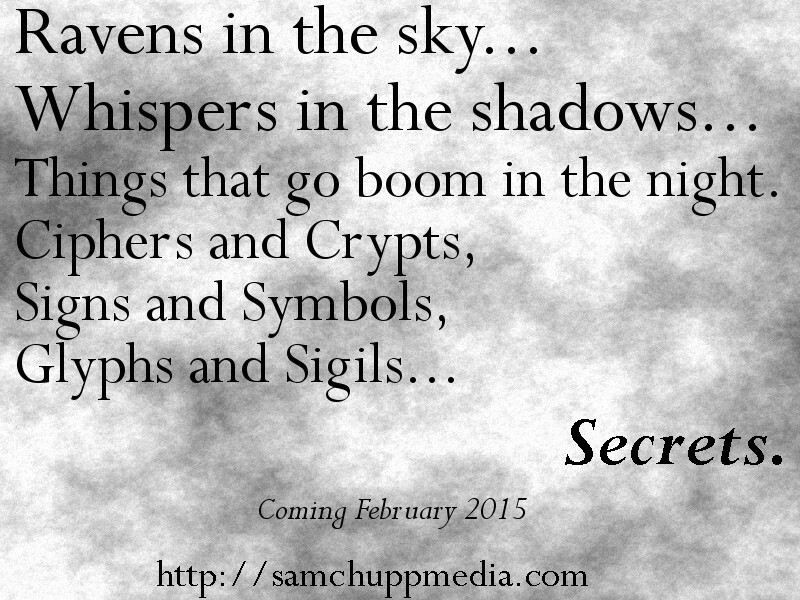 I have been working on a new fantasy espionage sourcebook for SCM – Sam Chupp Media. This is going to be a “systemless” sourcebook in that I’m providing setting, ideas, and structure so that you can take your favorite game system and apply what you’ve learned from the sourcebook to play. In the book, I offer some sample characters to fit the roles of various fantasy espionage agent types that I’ve created. Because it is unlikely that I’ll be able to afford character art for these, I have tried to write some descriptions of them as I see them in my … Continue reading How are my descriptions?